Mayor Ted Wheeler's top two priorities in his proposed 2018-2019 budget come as no surprise: Housing and police. Released this morning, Wheeler's updated $4 billion budget includes a call to hire 58 new sworn police officers, beef up the police bureau's mental health response team, improve data collection and analysis within the Portland Police Bureau (PPB), and expand funding for a number of homeless and housing assistance programs. 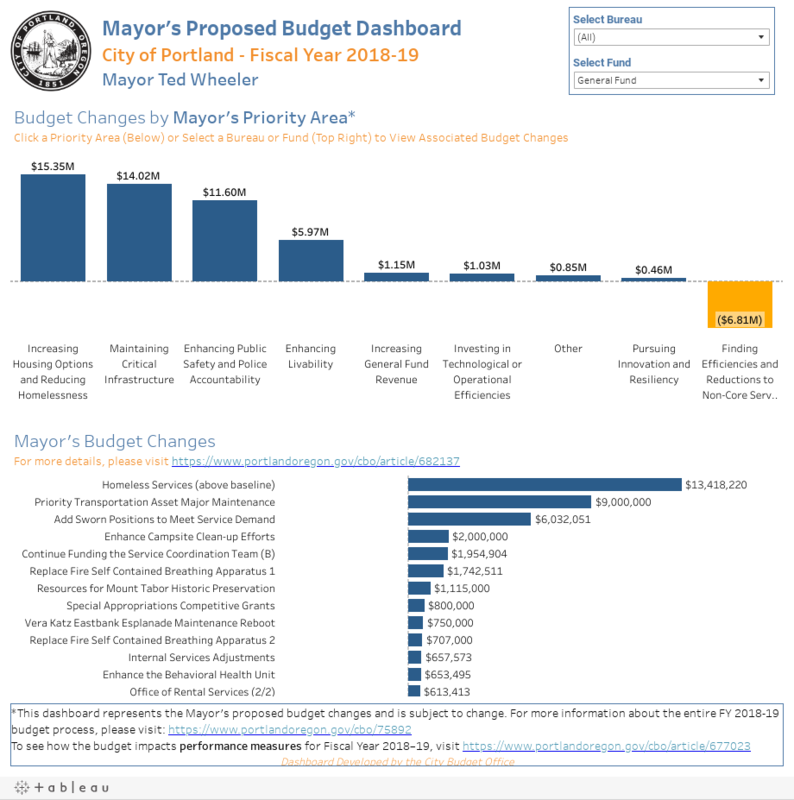 This citywide budget announcement comes after city commissioners were asks to submit budget plans that included a 5 percent cut to each of their respected city bureaus. Wheeler said these cuts would directly go toward funding affordable housing and the understaffed PPB. His proposed budget also reflects community feedback heard during April budget hearings, where members of the public excoriated PPB's initial call for around 93 new sworn police officers and looming threats to shutter a number of beloved community centers. Wheeler's since slimmed the officer request to 58, which still soars high above 14—the number recommended by the the City Budget Office. These new cops are meant to improve PPB's response time to 911 calls and to help the city "pivot toward a community policing model," according to Wheeler's office. Local police accountability advocates have questioned this overused, vaguely-defined idea of "community policing" that Wheeler's thrown around in recent months. Many believe the idea of having more cops patrolling neighborhoods on foot will only build on the public's mistrust of the police and increase the number of petty misdemeanor arrests. Community advocates have also questioned the need for more officers following the recent death of John Elifritz, a man perceived to be suicidal when he was fatally shot by PPB officers last month. In a cell phone video of the shooting, it's not obvious if officers were using any of the deescalation tactics they've been trained to rely on during mental health crises. To critics, this is a sign the city needs to better train its current officers, not to hire more of them. Only three of the 58 new sworn officers will be assigned to the city's Behavioral Health Unit, a team of officers specifically trained to response to calls involving a mental health crisis. This three-person expansion is expected to boost the number of clients served by the team by 50 percent. The proposed budget does return funding to two of the four city community centers on the chopping block: Fulton Park and Hillside. But only for one more year. Wheeler's proposed a $31.2 million budget for the Joint Office of Homeless Services—a 10 percent increase from last year. These dollars will go towards programming that will place homeless Portlanders into permanent housing (rather than homeless shelters) and increased street outreach. Under Wheeler's proposal, the city's 2-year-old Office of Rental Services will also see $2 million in funds to improve renter protections and to oversee the new renter relocation program. Members of the public have one more opportunity to voice feedback on the tweaked budget at the city's May 10 budget hearing. The Portland City Council is slated to vote on the final budget on May 16.